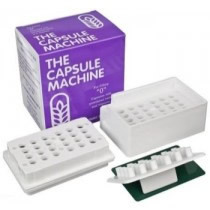 The Make Your Own Capsule Pack comes with one pound bag of raw apricot seeds, 500 veggie capsules and the capsule machine is to take the whole apricot seed, grind it and put it into a capsule form and swallow it like a pill. The difference between this and the tablets is the tablet is an extract of only the Vitamin B17. With the apricot seed (being a whole food), you have more than just the Vitamin B17. You also have Vitamin B15, enzymes, and other nutrients in the raw seed. You can use this for anything you want to put into a capsule, like Maca, cayenne pepper, and a lot more. Grind the seed with a coffee grinder or blender. 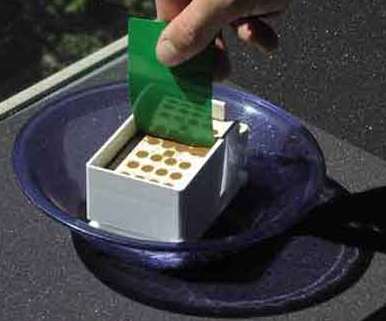 Take the ground seed powder and pack it into the capsule filler and use the tamper to pack them. 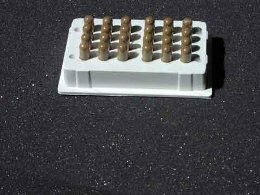 The capsules sit upright in the filler tray and the tamper packs the ground seeds into the capsule. Then put the tops on and you’re done. 1.) – Put base on stand. 2.) 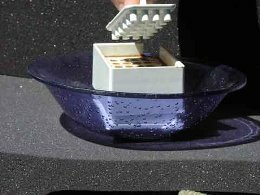 – Put base on shallow bowl or plate. 3.) – Put base on stand. 5.) 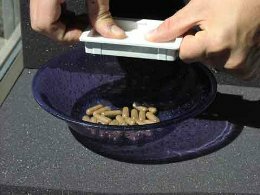 – Capsules are automatically joined, and held in top! 6). – Press top evenly and firmly…capsules are automatically ejected! It makes 24 capsules at one time. You then take your filled capsules and put them in a container and store them in the refrigerator. 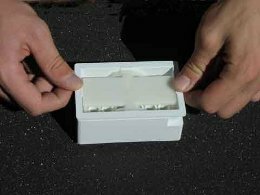 Note: Approximately 1 ground seed will fit into one gel cap. This does not come with the coffee grinder or the blender.